Mr. Yaw Appiah Debie, a former Brong-Ahafo Regional Organiser of the New Patriotic Party (NPP), has appealed to the Brong-Ahafo Regional Security Council (REGSEC) to collaborate with traditional authorities, to enable the President's 10-year cashew development plan to thrive. activities of illegal miners and Fulani herdsmen which threatened the President's vision for the cashew industry. The REGSEC must be decisive and act swiftly to protect the region's land reserves for the success of the programme, the NPP regional organiser stressed. In an interview with the Ghana News Agency (GNA), Mr. Debie, who has declared his intention to contest for the NPP's Brong-Ahafo Regional first Vice Chairman Position, said the influx of Fulani herdsmen and uncontrolled illegal mining activities in the region remained a huge challenge to farmers. President Nana Akufo-Addo launched the 10 year cashew development plan at Wenchi in the region on Tuesday, with a promise to give the country's agric sector a further boost. In fulfillment of another 2016 campaign promise, the President's initiative will massively improve the livelihood of farmers in the country. Mr. Debie commended the President for the initiative, but said if illegal mining and activities of the nomadic Fulani herdsmen in the region were not brought under control, efforts by farmers could be in vain. 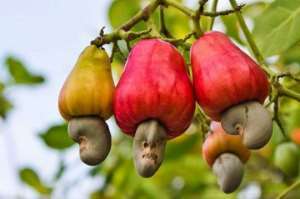 He observed that Brong-Ahafo remained the leading producer of cashew in the country, but regretted that successive governments had given less attention to the farmers, who are into the cultivation of the economic crop. Mr. Debie advised the unemployed youth to take advantage of the President initiative and engage in cashew production in commercial quantities to enhance their livelihoods.